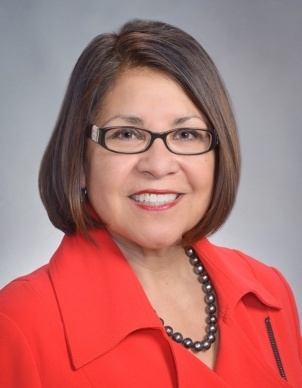 INDIANAPOLIS – Citizens Energy Group has announced that Maria M. Quintana has joined its nine-member Board of Directors. The Board is responsible for management and financial oversight of Citizens. As the newest member of the Board of Directors, Quintana replaces Anita Harden, who served on the Board for 10 years. Quintana is President and Founder of Q2u Strategic Advisory Group. Prior to founding Q2u, she was Executive Vice President-Managing Director at JPMorgan Chase. She earned a bachelor’s degree from the Indiana University Kelley School of Business and holds an MBA from Indiana Wesleyan University. Quintana is a highly accomplished senior executive and entrepreneur with more than 35 years of success in the financial-service, healthcare, hospital-financing, government and government-contracted industries. She has extensive community service development experience with in-depth market knowledge and is an experienced senior policy advisor. Active in the community, Quintana currently serves as an advisory member of the Local Initiatives Support Corporation and as co-chair of Great Places 2020. She is an executive committee member of the Ivy Tech Foundation and chairs its committee on directors. She also chairs La Plaza’s investment committee, is involved with Purdue Polytechnic High School and is a member of the marketing committee for Christel House International.